Kontron has launched the “SMARC-sAMX8X” module with low power I.MX8X series processor. The SMARC module runs Linux on a dual- or quad Cortex-A35 i.MX8X SoC with up to 3GB LP-DDR4, up to 64GB eMMC, dual GbE controllers, and PCIe. Kontron’s SMARC-sAMX8X delivers NXP’s mid-range i.MX8X SoC package in an 82 x 50mm SMARC 2.0 form factor, just like Congatec’s Conga-SMX8X module. 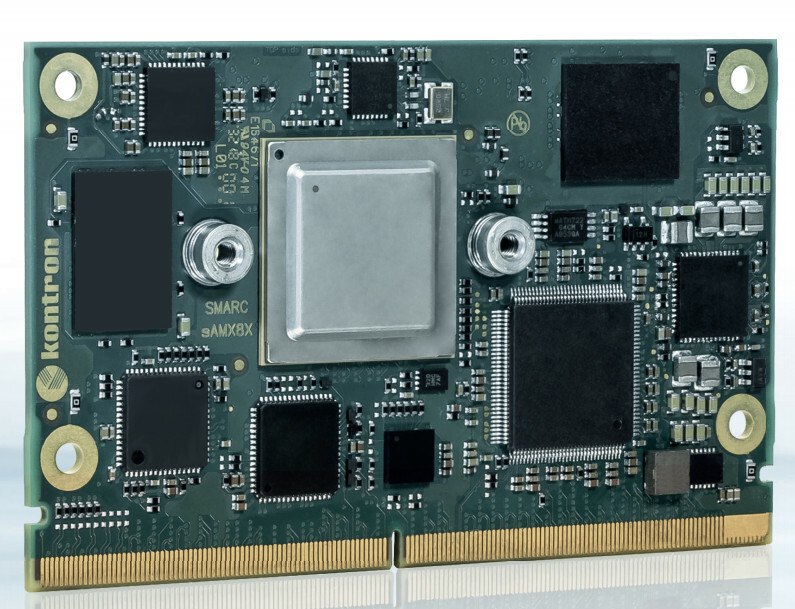 Other i.MX8X modules include a Qseven-based Conga-QMX8X COM announced at the same time as the Conga-SMX8X, plus Phytec’s phyCORE-i.MX 8X, Variscite’s VAR-SOM-MX8X, and the Toradex Colibri iMX8X and Digi ConnectCore 8X. The I.MX8X SoC by NXP is clocked at 1.2GHz and it’s very power efficient. 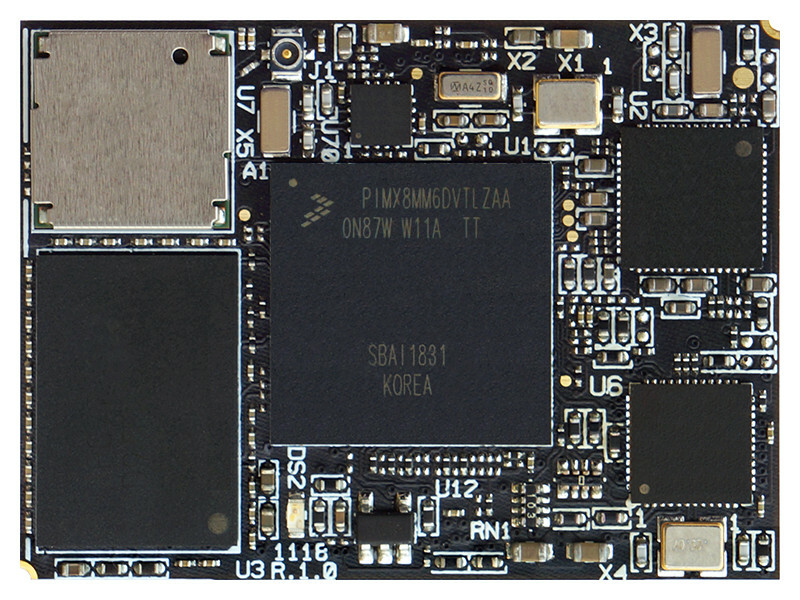 This SoC also includes a Cortex-M4 core for real-time duties. You have the following options to choose from: the quad-core i.MX8X QuadXPlus, the dual-core i.MX8 DualXPlus, and the dual-core i.MX8 DualX. All of the variants are available on the SMARC-sAMX8X module. The QuadXPlus and the DualX Plus model have 4-shader Vivante GT7000Lite GPU while the DualX has a 2-shader GT7000UltraLite GPU which is a low-performance and low-cost version. The SMARC-sAMX8X module runs a Yocto project-based custom Linux flavor as many other I.MX8M do. It supports up to 64GB eMMC and sports with 3GB LP-DDR4 RAM while most of its competitors offer 2GB or 4GB. Though the downside is the lack of wireless option. Its -40 to 85°C operating temperature range is perfect for a lot of industrial applications, especially, when it’s designed for “networked terminal devices in industrial environments”. The SMARC-sAMX8X features 2x GbE controllers and offers dual-channel LVDS, HDMI, DisplayPort, and MIPI-CSI interfaces. Other I/O includes up to 4x serial (2x with RX/TX only), up to 6x USB 2.0, and single USB 3.0, SDIO, and I2S connections. The SMARC-sAMX8X also features 4x I2C, 2x SPI, 2x CAN, and 12x GPIO interfaces. The module is equipped with a standard PCIe interface though it’s available only on the dual-core options, any of the configurations can be fit with 3x PCIe lanes on request. The 3-5.25V power supply can run on Lithium Ion or Lithium Polymer batteries. Kontron’s Approtect security solution is optional. The module is available with Kontron’s SMARC Evaluation carrier 2.0 board, which is also available with its i.MX7 based SMARC-sAMX7 module. 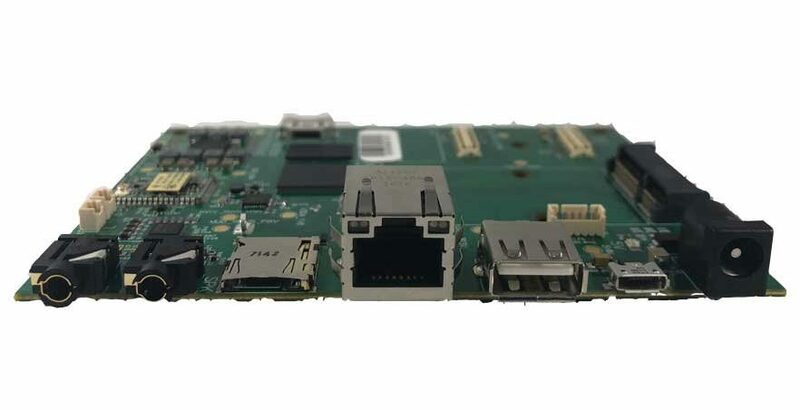 The carrier board runs on a 12V power supply and has the following features: dual GbE ports, an SD slot, and two USB 2.0 and USB 3.0 ports apiece. Other features include mSATA, 2x mini-PCIe slots, and 2x PCIe slots. HDMI and DP++ ports are available along with LVDS, audio, MIPI-CSI, CAN, and other I/O. The SMARC-sAMX8X module is releasing soon but the price is yet undisclosed. More information and its price may be found at Kontron’s SMARC-sAMX8X product page in the near future. 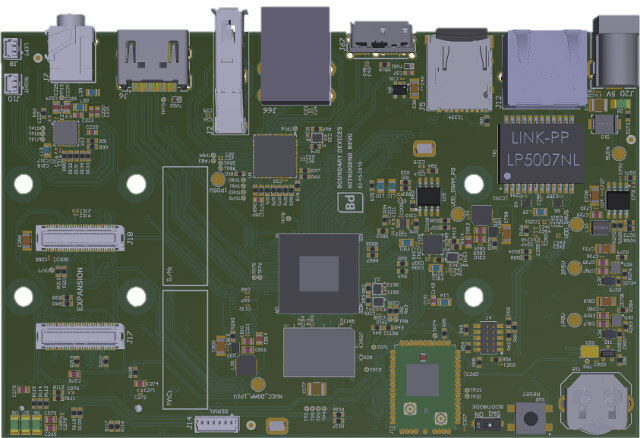 26 February, 2019 CompuLab module features NXP’s new i.MX8M Mini SoC.